September 25, 1931 - August 4, 2018 Nottingham, PA | Age 86 Loving Husband, Father, Grandfather, Great Grandfather, Great Great Grandfather, Brother and Friend. JOHN H. McLIMANS, Sr., age 86, of Nottingham, PA, passed away on Saturday, August 4, 2018, at Jenner’s Pond. 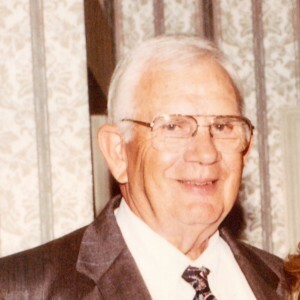 He was the husband of Donna Blackburn McLimans, with whom he shared 26 years of marriage. Born in West Grove, PA, he was the son of the late Solomon Pusey McLimans and the late Florence Myers McLimans. He was a self employed truck driver, retiring in 2010. He enjoyed golfing, gardening, driving his truck and being with his family and friends. In addition to his wife he is survived by two sons, John H. McLimans, Jr. and his wife Shirley of West Grove, PA and William Scott McLimans and his wife Denise of West Grove, PA; one daughter, Deborah L. Hampton of Avondale, PA; two brothers, William P. McLimans of Oxford, PA and James L. McLimans of Kennett Square, PA; one sister, Mary L. Moore of Oxford, PA; ten grandchildren and twenty one great grandchildren and one great great grandson. He was predeceased by one brother, Robert McLimans, one son-in-law, Fred Hampton, Sr. and one grandson, Fred Hampton, Jr.
You are invited to visit with his family and friends from 10:00 to 12:00, Wednesday morning, August 8, 2018 at the Foulk & Grieco Funeral Home, 200 Rose Hill Road, West Grove, PA. His Funeral Service will follow at 12:00. Burial will be in the New London Presbyterian Church Cemetery, Route 896, New London, PA. In lieu of flowers, a contribution may be made to the West Grove Fire Co., P.O. Box 201, West Grove, PA 19390 or to the Union Fire Co. No.1, 315 Market Street, Oxford, PA 19363 , Attn: Sharon Goldie. Please enhance this tribute to Mr. McLimans by adding your memories. Russ and I are sending our prayers and best wishes to the family at this sad time. We hope memories sustain you and God in His Divine Mercy will bring you peace. So sorry for your loss. Many happy memories as neighbors on the Butternut Lane. Your Dad will be forever in your heart. May all your happy memories bring you comfort. Scott, Debbie and John. Sorry about your dad. Donna sorry for your loss of your husband. He left behind a great legacy of family. Very sorry to hear that, may god rest his soul in peace. He worked till 78 which sounds great and really good legacy left behind (especially great-great-grandchild whom company he would have enjoyed a lot), may God give all his family courage to get over the difficult moment.